When Rita Sommers-Flanagan considered publishing her first novel, she was overwhelmed. Editing, marketing and selling a book is akin to operating a small business. That’s where Self-Publishing Services in Missoula came to the rescue, and helped Sommers-Flanagan achieve her dream. “People who write I think are emotional, especially the kind of stuff I was writing, and you put yourself out there that far, you’re pretty fragile and vulnerable,” she said. Sommers-Flanagan’s book, called “Boomers,” explores the challenges and heart-warming moments of aging baby boomers through a comedic tone, she said. The story is set in Missoula. She has written eight academic textbooks in clinical psychology through larger publishing companies over the years, but fiction was an altogether different journey. Melanie Calahan, marketing director for Self-Publishing Services of Missoula. In as little as eight months, Sommers-Flanagan launched her book in July. Danica Winters, business director of Self-Publishing Services, editorial director Clare Wood and marketing director Melanie Calahan strive to help writers like Sommers-Flanagan achieve their dreams of publishing. From a small company helping local writers in Montana to reaching thousands of storytellers in Australia, India and other countries around the world, the Missoula-based business has seen substantial success and growth in five short years. The business started in 2009 with the intent of helping writers develop a product that reflects their unique style and voice. All three co-founders have written books of their own. “There’s this misconception still about being an author that all you’re going to have to do is write, because the reality is, if you actually want to earn a living wage, you are a business owner and you have to put thought into your business plan,” Calahan said. 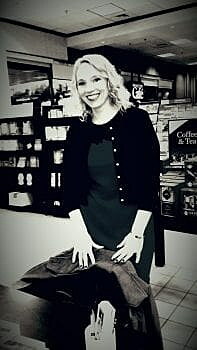 Danica Winters, business director, at a book signing. The company offers services like editing, formatting, cover design, submission review, metadata creation and writing coaching. Writers can purchase packages or services a la carte, which is different from larger, traditional publishing houses. The business also hires formatters, illustrators and cover designers who live in Montana, and partakes in philanthropic work in Missoula, Winters said. For example, Self-Publishing Services raised about $10,000 for the local YWCA through a raffle. “All of the different things you can get involved with through this business and through publishing is not what you’d expect. In addition to helping authors, we like to help our community,” Winters said. As an emerging practice within the publishing industry, more and more authors are taking part in hybrid publishing, which allows authors to be involved in both traditional publishing houses and self-publishing. Winters follows this practice as an author, and has published over 20 books. “It’s the norm anymore. I think anyone who is making a livable wage in this industry is doing it that way because it’s really, really hard to make a livable wage on just traditional publishing,” Winters said. Authors must sign contracts with traditional publishers in order to print and sell a book, and are usually paid through varying royalties. It takes time and a lot of investment to establish a readership within the traditional publishing market, Winters said. Self-Publishing Services doesn’t require a signature, and each author retains the rights to their books. Sommers-Flanagan was able to choose the cover of her book and appreciated the business’s attention to detail. The women at Self-Publishing Services helped her build a foundation and feel grounded, she said. When necessary, Self-Publishing Services will find editors that suit the author’s needs through subcontracts with larger publishing companies. “The editing process, I do want to say to all writers, is absolutely central even if you are a bestseller. Everyone has blindspots, and you can edit until you’re going in circles, and you need that fresh perspective,” Sommers-Flanagan said. Her experiences using traditional publishers has changed over the years, she said, and believes that self-publishing can be a better path to use for many writers. “Over time, I’d say over 20 years, the willingness of traditional publishers to put very much time into editing is reduced, and also you lose control,” she said. Authors can make about $12 for each book they sell through self-publishing in comparison to making about 40 cents with larger publishing houses, Winters said. Payment for services by the business is upfront, and because authors don’t need agents when self-publishing, they can keep the money they make on each book that is sold. “We help them build their entire career, not just a single book,” Winters said. In the next year, the business wants to expand to audiobooks and provide opportunities for clients to sign contracts with narrators. Calahan said they plan to hire narrators in Montana. The self-publishing industry is growing, and more and more authors are choosing to work with businesses like Self-Publishing Services to start their careers in the writing world. From New York Times bestsellers to short children’s books, the business wants to help do it all. “This industry is endlessly fascinating, and it’s only going to continue to get more fascinating. I think that just like with all of the media industries right now, it’s the Wild West, there is no settled path for how this is going to go,” Calahan said.